Do you ever feel like you are pandering to other people or watching what you say because you’re worried about being put down or teased over it? Or constantly thinking of what other people think about? This post might help you get over these fears. Here’s the message in a nut shell – if you are constantly trying to impress other people by being someone or something you are not and hiding who you really are, you will never be truly happy – fact! Here’s some tips that should help you to stop worrying about what others think and finally make you ready to embrace who you are, and more importantly make you proud of who you are! The secret to this is all about creating a healthy self-image. It is a simple but effective way to realise and celebrate all your strengths and quirks. 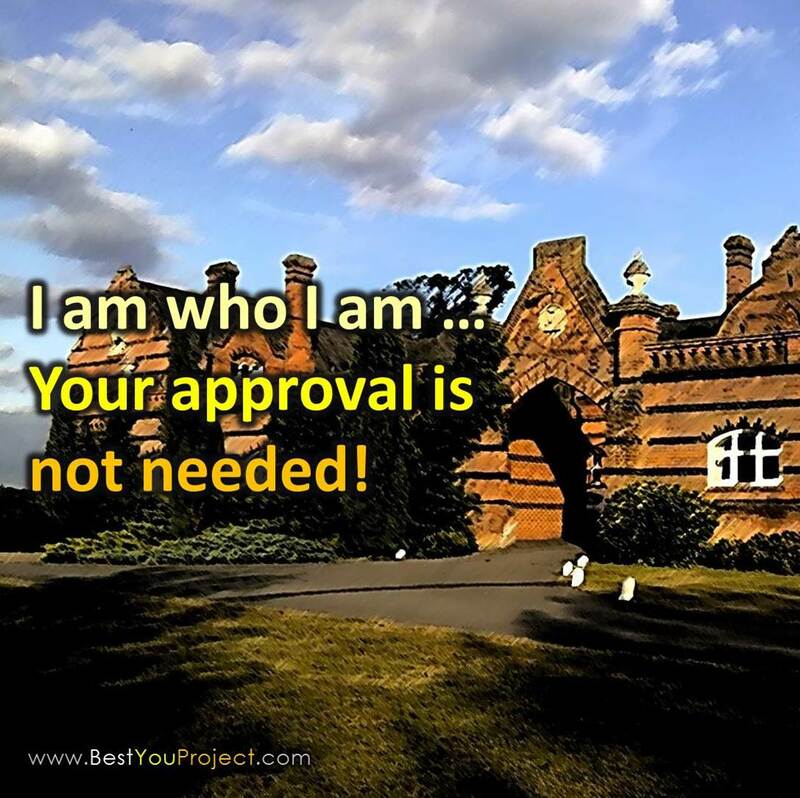 If you are happy and confident with who you are and how you live your life then you will no longer need to worry about what other people think of you as you will already be comfortable with who you are. The first thing I want you to do is to look at everything you have achieved so far. Celebrate all the successes by making a clear record of them. If you have photos make them into a “Success Album” containing all your various successes. If you don’t have photos just write them down proudly so that it ingrains itself on your brain that “You, nobody else, YOU achieved that … and what was achieved can never be taken away from you by others negative words”. Keep that book or file for future reference when you need a pick me up or a subtle reminder. The next thing you must do is forgive yourself for anything you did in the past that you now regret. It is done, it cannot be changed. Forgive yourself, learn from it and let it go. It is behind you where it belongs. Do whatever it takes to get closure on these mistakes or regrets – some people write it down and then throw it in the bin or burn it. Some get relief from it by contacting others they may have hurt by their actions and making an apology with no hidden agenda. Do whatever works for you. Today is a new day, a new beginning and as much as you need to be proud of what you have achieved so far, you also need to free yourself from past mistakes. You need to now create a clean slate with no baggage to allow your present self to focus on the wonderful future ahead. The next step is a personal review. List down all the things that you believe about yourself to be true. Are you honest? Hard-working? Grateful? Anything you consider a strength. Look the list over, re-affirm to yourself all these excellent traits and abilities that you have and be proud of who you are. If there are certain skills / traits that you would like to have but don’t quite feel you yet possess write them on the list as well and work towards becoming that type of person. For example, if you are shy but really want to be outgoing write it on the list. Think up ways to create this new strength. To be outgoing you may decide to start up 3 new conversations a day with work colleagues or other acquaintances. Or you may decide to join a new club or take up a new hobby. If there is a new strength you really want to have in your armour then it can be learned, you just need the desire to capture it. Once you have firm, clear picture of who you are and what you stand for you can start focussing in on the quirky traits that make you special – all those things that you do that make you happy. Focus on doing the things that make you happy and don’t deny yourself this pleasure because someone else may have an issue with it. What a wonderful way to look at the world! Do you really want to be the same as everybody else? Do you really want to be a follower and not a leader? Of course not … then don’t substitute what others “expect” you to be for what actually makes you happy … and what makes you unique. You’re unique! We all are … so don’t try to be somebody else. If you love cheesy music listen to it! Who cares what other people think? If you like a certain look dress that way, we’re not all sheep that have to copy others – create your own style. If you like a certain sport or hobby – do it! Not everyone likes the same things. Be you, celebrate being you and most of all, don’t hide it. You’re one of a kind so why try to blend in with the crowd. Stand out, be different and don’t worry what others say or think … because in ten, twenty or thirty years from now do you really think what someone else said will actually matter? It won’t, but if you let it affect you it will rob you of your happiness for years to come. Your enjoyment, happiness and love of life is all that matters so start making that your number 1 priority. The rest will take care of itself. Next Post The Other Side – It’s Not Always What It Seems!